What is a Backplane ? 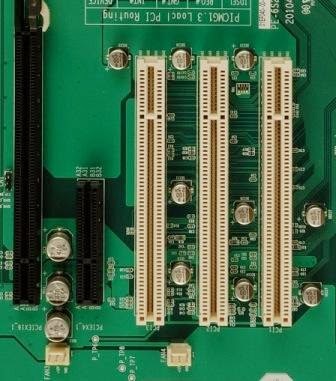 A Backplane is a system of parallel electrical conductors in a PCB which are used to connect the connectors. Backplanes are advantageous over traditional cable-type connections as they are mechanically stronger. The cards are mounted on backplanes on slots. This facilitates easy replacement of the cards. Backplanes are widely used in computers and in industrial automation such as PLCs, DECS systems, etc. Active backplanes are backplanes which have some computing circuitry in built into them. Passive backplanes are backplanes with no computing circuits. A mid-plane is a backplane which has got slots on both sides.